Sport & Cycle provides custom embroidery and screen printing for teams, businesses, and special events or projects. 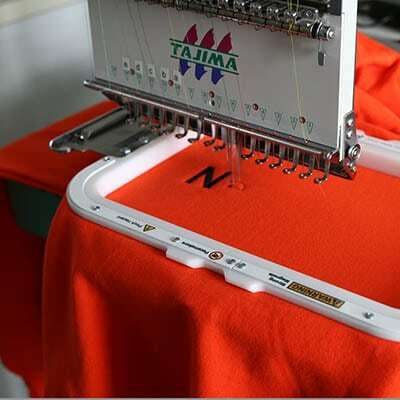 Names, numbers, teams, mascots—screen printing is an effective way to customize clothing for a variety of purposes. Give your uniforms, corporate apparel, sports gear, team tees, or other clothing a customized look with embroidery or screen printing! From hats and tees to shorts and socks, our embroidery and screen printing services will take your clothing and uniforms to the next level. Ask us about embroidery and screen printing for bulk orders.